A longboard’s longevity depends on a mixture of how it is used and how it is made, but adding more rider weight can overtax it. As wood is a natural material, there will be minor imperfections that sometimes occur in the worst possible places. At other times, the culprit is just poor foot placement. Either way, the resulting snap can end a day of longboarding and leave you walking — or worse. Luckily, there are now longboards for heavier riders that give them a chance to keep a setup around for a while. Heavier longboarders must also make certain concessions to the added stresses they put on boards, trucks, bearings, and wheels. Longboard longevity is a recipe. It begins with purchasing a deck that can withstand those added stresses and follows with developing skills that put less stress on the vulnerable parts of the longboard. The following complete longboards address the need for strength in their own ways. 3.1 Pay Attention To Deck Materials! 3.6 Don’t Worry About The Wheels! Downhill speed boards and freestyle boards are usually built strong and stiff, and Rayne’s Demonseed Gosha fits that mold perfectly. It is a drop-through board with an added 1 inch of deck drop. Rayne laminates vertically oriented bamboo with a fiberglass core for unparalleled strength. The Demonseed Gosha is 44 inches long and 10 inches wide, with deep tub concave to keep the feet locked in and absorb added weight. The complete setup comes with 180mm Atlas reverse-kingpin trucks, Rayne Stoopid Fast bearings and Rayne 70mm Envy wheels with an 80a durometer. The trucks are steady and solid, and the wheels are fast and smooth. They are also stone-ground for instant kick out on the first ride. The bearings are a weak link, however, and bigger riders should swap them for tougher ones. For moderately heavy riders looking for a cruiser drop-through that can handle some hills and slides, Sector 9’s Meridian should stand out. It is 40 inches long and 9.75 inches wide with a 30.5-inch wheelbase. The eight plies of maple and taco-mold concave combine to give the Meridian a great combination of strength and flex. The Meridian has a neutral profile, though, and no drop means added pressures at the vulnerable truck cutouts. Meridian completes come with Caliber trucks, which have 10-inch axles and 50-degree baseplates for stable and consistent carving. The 72mm Sector 9 race formula wheels are plenty fast, but with an 82a durometer are more suited for freeride than cruising. Sector 9 includes its ABEC-5 Greaseball bearings, which are a considerable improvement over the PDP bearings the company sometimes offers in its setups. Longtime skate company Santa Cruz’s Lion God drop-through uses added layers to solve the strength riddle. With nine plies of solid, North American maple and a mild taco-mold concave, the Lion God is strong by default. It is 40 inches long and 10 inches wide, and its 31-inch wheelbase allows for the needed flex to prevent stiffness from leading to a snapped deck. The Lion God comes with workable Road Rider trucks, which have reverse kingpins and 180mm hangers. The included wheels are OJ III Thunder Juice downhill wheels, which are 75mm tall and 54mm wide with a 78a durometer. They utilize a grippy formula and ride like they’re on rails but do not slide easily. Santa Cruz’s ABEC-3 bearings are industrial, so an upgrade is inevitable. The Drop Carve Wave is an innovative and inherently strong flatland freeride deck from Landyachtz. It is made from sandwiched layers of bamboo and fiberglass, making it seemingly unbreakable. It is 40 inches long and 9.3 inches wide, and Landyachtz shortened the wheelbase to just 27.4 inches, leaving room for a slight kick on the tail and nose. This makes for a board capable of street-skating style moves like the ones in this video. Bear Grizzly 5.0 reverse-kingpin trucks are stout and smooth, though not necessarily worthy of the deck. The same goes for the Bear Space Balls ABEC-7 bearings, which are fast for a while but can deteriorate quickly. The Hawgz Fatties wheels (70mm, 78a) are a nice addition, though, and suit the intended riding style perfectly. For the heavier rider, the Drop Carve ticks all the boxes. Yocaher’s Punked Pintails are nine-ply maple decks with the classic pintail-surfboard shape. They make excellent cruisers, as they carve willingly. A lack of graphics keeps prices low, but the stained woodgrain aesthetic is still easy on the eyes. The Punked Pintails are 40 inches long and 9 inches wide, with a short 27-inch wheelbase. They have zero concave, but only a small amount of flex. The nondescript trucks are at minimum solid aluminum with steel axles. The bushings are hard, though, so either a swap out or a truck upgrade will be necessary to make this a true carver. The Q-Ball wheels have a 78a hardness, and are 70mm tall and 51mm wide. They are serviceable, but lack toughness and ride harder than their durometer suggests. The ABEC-7 bearings are the same — fast at first, but lacking durability. The Yocaher makes a great beginner’s longboard for heavy riders, but experienced riders will not likely be impressed. As was stated, how long a longboard will last depends greatly on how you intend to ride it. 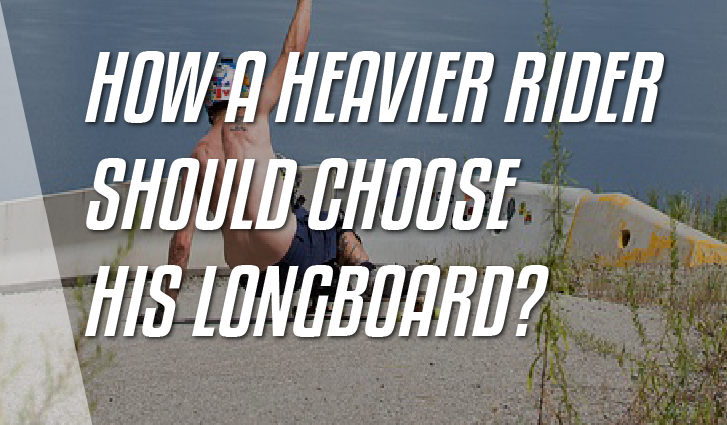 The more variables in a setup that work to a bigger longboarder’s advantage the better. Check for one of the following criteria at a minimum, but many decks will utilize more than one. Pay Attention To Deck Materials! The materials a manufacturer uses have an obvious effect on board strength. Maple decks should have a minimum of eight layers, but a nine-ply longboard is even better. Another option is a deck with bamboo layers, as the material’s natural flex makes it hard to break. Some of the best available decks — as far as strength is concerned — use a sandwich of fiberglass and bamboo layers for the utmost in stiffness and strength. In general, the shorter the wheelbase the more difficult a board is to crack. Going this route to find strength can have diminishing returns, though. Very short boards can be difficult for bigger riders to control effectively, which takes a lot of the fun out of skating. Longboards for heavy guys should have short enough wheelbases to allow them to stand over or near the trucks where the decks strength is greatest, but not so short that they become difficult to maneuver. Concave and profile shape each affect the strength of a deck. Deeper concave adds support to a deck, lending greater rigidity. Profile shape is a more complicated variable, though. When looked at from the side, longboards can curve upward or downward, or they can be relatively flat. Downward curved boards, called cambered decks, are a no-go for heavier riders due to their overly flexy nature. Flat, or neutral, decks flex less and works better, but the upward curves of rocker decks flex the least and tend to work best for bigger longboarders. The complicated designs of trucks make dissecting them a daunting enough task to beginners, so just make sure the construction is solid. Aluminum baseplates and hangers should provide plenty of support, and steel kingpins and axles are a necessity. Heavier riders should disregard completes with plastic or nylon baseplates, as plastic materials will likely crack in these load-bearing parts. Hollow kingpins and axles are fine, though. This is one component where it pays a heavier rider not to skimp. The cheaper bearings on the market are often made of lower-grade metals, and unfortunately are usually the bearings manufacturers include in complete longboards. However, expensive does not necessarily mean strong, either. For example, some ceramic bearings can cost double steel-bearing prices, but are structurally weaker. 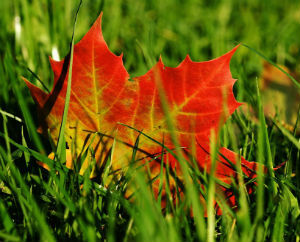 With bearings, strength equals longevity, so get the strongest ones available. Don’t Worry About The Wheels! Heavy riders can rest easy in knowing that there is at least one component that they needn’t worry about. When it comes to urethane, bigger longboarders can simply pick out what they want to ride and ride it. In the early days of cored wheels, the durability of these options was dicey, but improvements in modern manufacturing have eliminated the weaknesses of even those complex designs. Longboards are not fragile, but not every board is made to withstand the forces heavier riders sometimes put upon them. Even riders just slightly above 200 pounds may have difficulties with failing components. However, there are heavy-duty options on the market in each component category that can help bigger riders build a complete that’s ready to go when they are.